When you have been charged with a crime or suspect you are under investigation, it is essential to have an aggressive Redwood criminal defense attorney on your side. The sooner you have a lawyer, the better. A team of dedicated Redwood criminal lawyers can start building a strong defense on your behalf, and prevent you from making any statements that could be detrimental to your freedom and future. At Bay Area Criminal Lawyers, PC, we believe in immediate action and the results you want. No one wants to be locked up in prison or have their reputation ruined. A Redwood defense lawyer will work diligently to investigate every detail, and staunchly challenge any and all evidence brought against you. You must be proven guilty, and until then you are presumed innocent. Our Redwood criminal defense attorneys will do everything in their power to protect your innocence. You do not have to be a bad person to be charged with a crime; bad things do happen to good people. A capable Redwood defense attorney will work tirelessly to have the charges against you dropped, doing whatever it takes to reach that verdict. 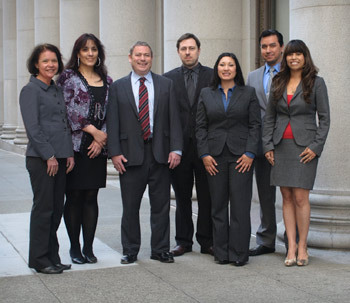 Bay Area Criminal Lawyers, PC, is a team of talented and knowledgeable Redwood criminal defense lawyers who treat each client individually, focusing on the details of your case in order to build a strong defense. Whether you have been charged with drunk driving, domestic violence, shoplifting, drug possession, assault and battery or something else, you need guidance and direction. A competent Redwood criminal defense lawyer will explain what you are facing and what his plans are for building a solid case to protect your rights and freedom. It is frightening when you have no idea what is happening; our Redwood defense attorneys are compassionate and dedicated to helping you through this tough time. Stiff fines, possible imprisonment or jail time – no one wants to face any of these things. More importantly, you do not want your freedom taken away or your reputation ruined, which will impact your future in a negative way. Bay Area Criminal Lawyers, PC, urges you to contact us for a free consultation. Our Redwood criminal defense lawyers are skilled, aggressive and results-oriented, navigating you through the toughest time in your life to a successful outcome. It is your reputation and freedom hanging in the balance; contact us at once.